In recent years, the cannabis industry has gained popularity and respect. It has become a workforce of professional scientists, horticulturists and customer care specialists, product manufacturers and customer-focused businesses. Each role in this system lends credibility to the functions it supports. Although we don’t know everything about cannabis—significant research is ongoing and new findings are surfacing frequently—we can (and should) know a little about each area of expertise. For example, take budtending. It requires some basic knowledge of the plant, the products and the customer. But what exactly should budtenders know? What do customers expect their budtenders to know? 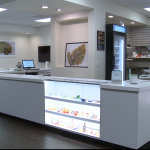 Budtenders are often the first employees to represent the store and its products and brands. In many respects, they represent the cannabis industry to the public. For well-versed customers, budtenders are expected to have a nearly complete understanding of the plant and products. 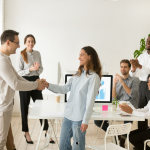 They become even more valuable employees if their foundation also includes all aspects of the business: customer service, cultivation, processing, testing and so on. A new customer will look to the budtender perhaps for less help understanding the cultivation, harvesting and other details of the plant, but will expect help in how products and various strains will affect them personally. To know one part of the growth-to-sales system, it’s actually necessary to know how the whole system functions. A working knowledge from seed to sale helps a dispensary manager hire and train with more efficiency. And the budtender becomes the type of professional that customers want and expect. In hiring new budtenders to work in your store, you will evaluate them on their product knowledge, interactions with customers, and ability to complete the sale. Beyond these essential factors, an excellent budtender will also understand how the store is managed, how grow facilities produce flower, and how processors manufacture products. They should know how different consumption processes affect individuals, and why a sativa might be more desirable than an indica or hybrid for a specific customer want or need. The more that budtenders know, the more valuable they’ll be to the customer and ultimately your business. The depth of knowledge of the entire seed-to-sale system also applies to dispensary management: A good manager will excel in keeping the sales reports in line and ensuring regulations are followed. But an outstanding manager will be able to lead the team and read the nuances of each position along the way. In addition, managers who have grown cannabis and also worked as a budtender will provide resourceful leadership. A grower who knows how a dispensary works will be easy to communicate with, and be able to understand things like supply and demand. As the industry creates new jobs and state and local governments provide regulations, there’s a need to standardize knowledge and build a foundation. Certifying how we present knowledge and skill sets keeps overall control of this foundation in the hands of industry experts. A set of certifications can build this foundation. Having each employee pass one or more industry exams will help standardize the career path for a budtender in California in the same way as it would be in Colorado, Washington, Nevada or other states as legalization continues to expand. While each state has its own regulations, the foundations of the industry remain the same. In many industries, employees must become certified and take continuing education classes every year or two. As it joins the ranks of other professional industries, cannabis will develop its own standardized foundations. Certifications and standards are the only way to continue to build national momentum and career equality for the industry—fostering excellence in all we do. 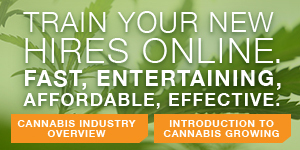 Social media and other platforms already can verify and confirm trustworthy stores and knowledgeable budtenders. With standardized testing for each industry position, responsible growth is assured. But if we don’t set our standards of certification within the industry, the task will be taken up by lawmakers who aren’t connected as those inside the cannabis community—and who often don’t have the best interests of the industry as a motivation. As a dispensary manager, owner or employee, you must begin to proactively seek out standards and certifications that apply to your career path. Speak with industry peers in your area and begin to legitimize cannabis careers with any available classes you can find.